A straighter smile can look amazing, but some people will put off having orthodontic treatment as they think it will be too costly, uncomfortable and time consuming. 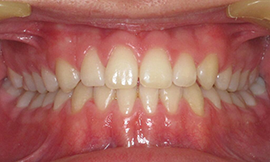 Others simply do not want to have to wear unsightly braces for months or even years. 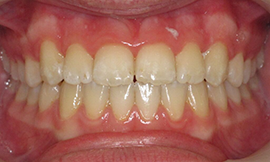 Quick Straight Teeth (QST) offers an answer to this issue. Quick Straight Teeth is a discreet braces system with choices of either a fixed or removable brace, and both are made from transparent materials. 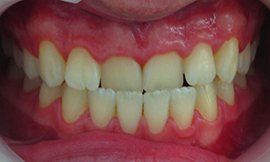 QST has been developed to work specifically on the front six or eight teeth. 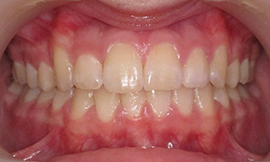 It is not designed to correct major orthodontic problems, but works very well for correcting minor to moderate issues. Treatment prices can be more affordable than for similar types of braces, and straightening times range from 4-24 weeks, depending on the problems to be corrected. 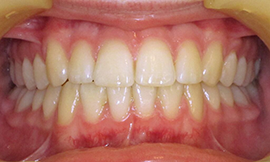 QST fixed braces use clear brackets that are virtually invisible, combined with tooth coloured wires. 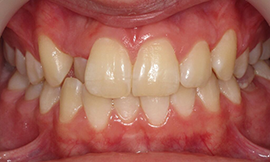 The use of fixed brackets helps to ensure tooth movement is highly predictable and quick. Unlike conventional orthodontics, there is no need for the wires to be extensively tightened. Instead, the braces apply gentle pressure to the teeth creating minimal discomfort, as only the front six to eight teeth are moved. Am I suitable for QST? The best way to find out is to book a consultation with our dentist, Kiran Devitt. 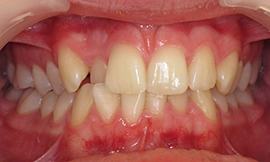 QST will work best for patients who have slightly protruding front teeth, and mild to moderate overcrowding. 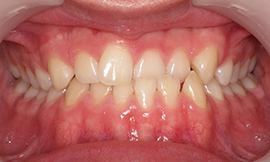 Once treatment is complete you will need to wear a retainer otherwise the teeth can begin to drift back towards their original positions.